The 2017 Subaru Crosstrek is a smooth-driving hatchback that offers a spacious cabin and plenty of cargo room, ideal for busy families. With Subaru's standard all-wheel drive, the 2017 Subaru Crosstrek is a ruggedly reliable vehicle you can count on in any weather condition. 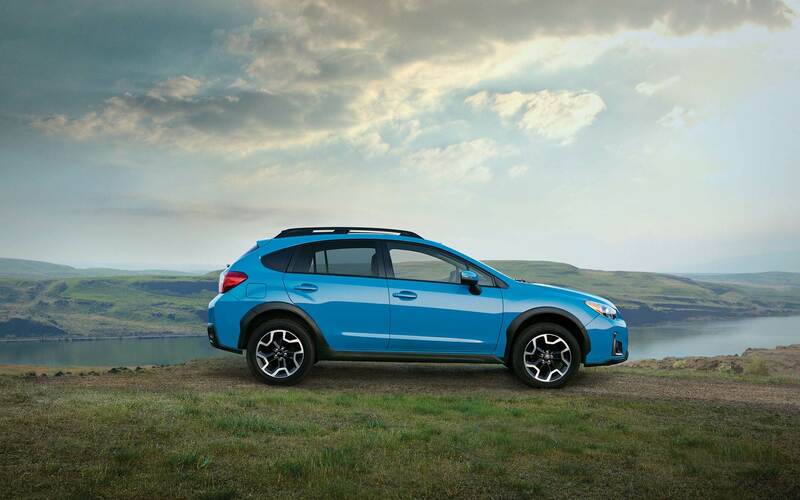 The 2017 Subaru Crosstrek will deliver the dependable power you want with all the modern touches you need! 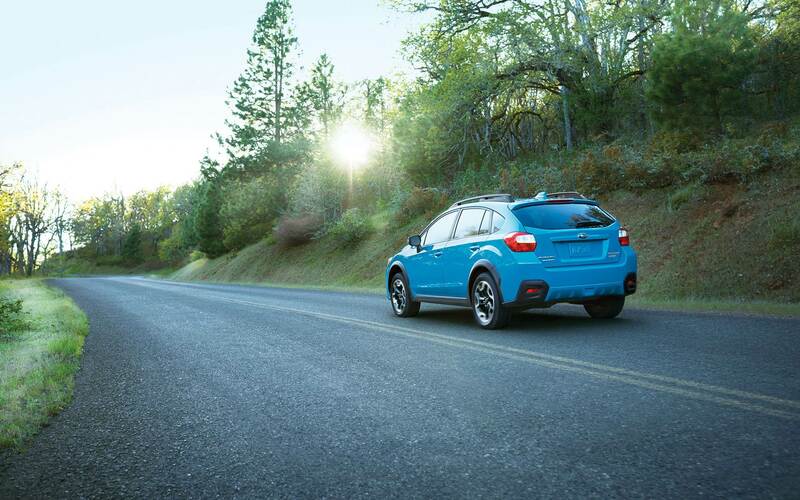 Keep reading to learn more about the 2017 Subaru Crosstrek! The 2017 Subaru Crosstrek has a raised, four-wheel independent suspension, unique in that it gives the 2017 Subaru Crosstrek a higher ground clearance than most hatchback competitors and even some dedicated SUVs. The double-wishbone rear suspension offers a blend of comfortable riding, enhanced stability and increased vehicle responsiveness. The 2.0-liter four-cylinder Boxer engine generates 148 horsepower at 6,200 rpm, and has a long-stroke configuration that enhances the torque to a peak of 145 lb-ft at 4,200 rpm. The dual-overhead camshaft features Dual Active Valve Control System variable valve controls which optimize the torque delivery to the intake and exhaust valves. The 2017 Subaru Crosstrek 2.0i base model is only available with a five-speed manual transmission. The 2017 Subaru Crosstrek Premium is available with the five-speed manual transmission and a Lineartronic CVT six-speed automatic transmission that comes standard on the 2017 Subaru Crosstrek Limited. All models are outfitted with Incline Start Assist, which briefly holds the vehicle when the driver pulls away from a stop on a hill. Either available transmission offers a standard ECO gauge, designed to assist the driver in fuel-economic driving. The more-than-capable engine and optional transmissions make the 2017 Subaru Crosstrek a fantastic vehicle you can rely on! The 2017 Subaru Crosstrek is available in four trim levels; the 2017 Subaru Crosstrek 2.0i, the 2.0i Premium, the 2.0i Premium Special Edition and the 2.0i Limited. The base 2017 Subaru Crosstrek 2.0i is loaded with standard features like foglights, roof rails, air-conditioning and a height-adjustable driver seat, all designed to make the inner cabin more comfortable. High-tech functions that come standard include a 6.2-inch touchscreen display, Bluetooth and smartphone integration and a four-speaker audio system that is compatible with music services like Pandora and iHeartRadio. 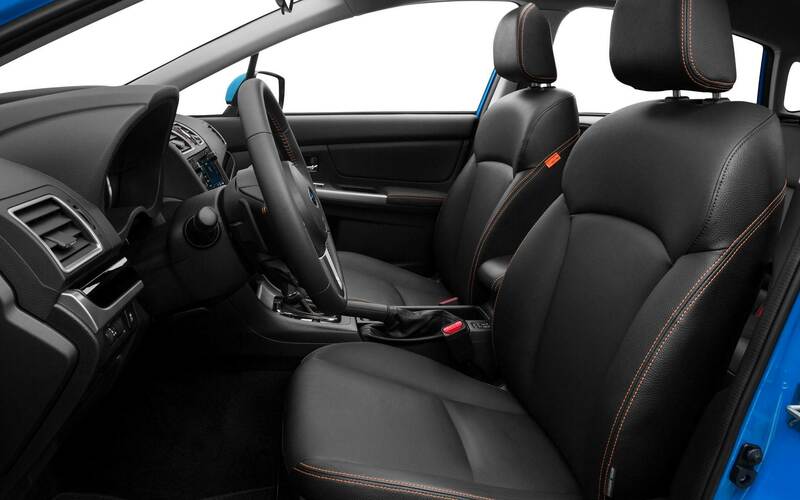 The 2017 Subaru Crosstrek 2.0i Premium upgrades some interior and exterior features, offering heated front seats, a leather-wrapped steering wheel, cargo cover and heated side mirrors. It also upgrades the audio suite to a six-speaker system. Available options for the 2017 Subaru Crosstrek 2.0i Premium include the option for a continuously variable transmission, a sunroof, the EyeSight Driver Assist System, Starlink Connected Emergency Services, and an upgraded 7-inch touchscreen infotainment system. The 2017 Subaru Crosstrek 2.0i Premium Special Edition offers special interior and exterior styling details, keyless entry and ignition and blind-spot monitoring with rear cross-traffic alerts. The "top-of-the-line" 2017 Subaru Crosstrek 2.0i Limited builds on the 2.0i Premium with automatic headlights, a sound-insulating windshield, automatic climate controls, and leather upholstery. Notable function options include an auto-dimming rear-view camera, navigation system and upgrades to the sound-system speakers. No matter how you choose to outfit the interior of your new 2017 Subaru Crosstrek, it offers over 50 cubic feet of cargo space with the rear seats folded. Stop by today to test drive a 2017 Subaru Crosstrek! Does the 2017 Subaru Crosstrek offer a lot of cargo room? Yes! The Subaru Crosstrek offers over 50 cubic feet of cargo room, perfect for your busy lifestyle! How do I schedule a test drive of the 2017 Subaru Crosstrek? It's easy! You can schedule a test drive on right on our website! Click HERE to schedule a test drive! Do you offer any vehicles for under $12,000? We offer a large selection of used vehicles! Click HERE to view our budget vehicle inventory! The 2017 Subaru Crosstrek comes standard with Subaru's exclusive, ring-shaped reinforcement frame, with a roof that is strong enough to bear four-times the vehicle's weight, protecting the cabin in the case of collision. Airbags are located at the driver's knee, side-curtain, and front side pelvis/torso. Front airbags utilize dual-stage deployment for optimal occupant protection. The passenger front-seat uses a shell-type design, deploying with less force in the case of impact to protect passengers. Brake Assist applies pressure to the antilock braking system, increasing braking effectiveness. The Brake Override system ensures that the brake systems take precedence if the brake pedal and accelerator are pressed simultaneously. The EyeSight Driver Assist System bundles adaptive cruise control, lane departure warnings and front collision mitigation with the blind-spot monitoring and rear cross-traffic alerts found standard on the 2.0i Premium Special Edition. Starlink Telematic Services are also available on the 2017 Subaru Crosstrek, providing roadside and emergency assistance along with automatic collision notifications, integrated in case you cannot reach your phone in the event of a crash. The 2017 Subaru Crosstrek puts your family's safety first, so you can enjoy peace-of-mind whenever you get behind the wheel. Stop by our Downington, PA location to test-drive a 2017 Subaru Crosstrek today!